Sometimes in order for us to have the courage to lose weight is to see someone who successfully fulfilled their goal. Losing weight is hard especially if you don’t have the motivation to do it plus thinking there is no other person who can help you other than yourself only is kinda frustrating sometimes. A support from a friend, family or a personal coach is really helpful but what about those who don’t have, where can they possibly find the strength to push themselves into losing weight or find a confidence that if others can do it sure they can also. For a starter I am actually motivating myself that I am not getting any younger and a few more years from now surely I can develop any disease inside my body and I don’t want that to happen because my son is still young and we are still planning to add kids in the family. Being healthy aside from physique of our body is the best motivation for starter but reading stories from others who already get through with it is definitely more inspiring too. You may read here my calorie counting diet for my starting point in weight loss journey. I have been reading weight loss stories recently and I am moved by their struggles to finally been able to defeat it and be successful in the end. Their stories of losing pounds every month or even years is awesome thinking if they can make it why not me. Usually I wanted an instant and immediate result in my transformation but it doesn’t work that way. It just came to my realization that I never been unhealthy or overweight in an instant same as to being healthy or losing weight, it will take time too. 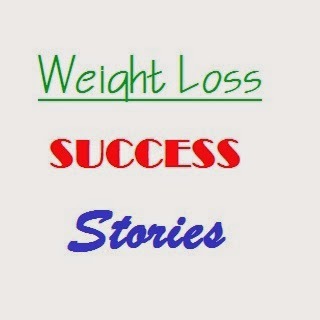 Two of the sites that I always read for successful weight loss stories is from www.shapefit.com and www.cnn.com the stories in this sites came from real people with real results plus you can see their before and after photos which can encourage you to lose weight like they did. You can also pick up some tips and their lifestyle while in the process of their transformation. There are other weight loss stories on the net but this is the only sites I see that is always updated with pictures. If you have any other recommendations please feel free to post it in the comment section.